Mary Catherine Heeke, age 91 of Celestine, passed away at 1:00 a.m. Saturday, March 30 , 2019, at the Northwood Retirement Community, in Jasper, Indiana. She was born on October 21, 1927 at Celestine, Indiana to Frank and Bertha (Gehlhausen) Kluesner. She married Leonard Heeke on June 30, 1951 at St. Celestine Catholic Church. Mary Catherine was a homemaker and member of St. Isidore Parish - St. Celestine Catholic Church and the St. Ann’s Society. 14 grandchildren and 20 great grandchildren. Preceding her in death are two sisters, Ann Kempf and Lou Buechler. 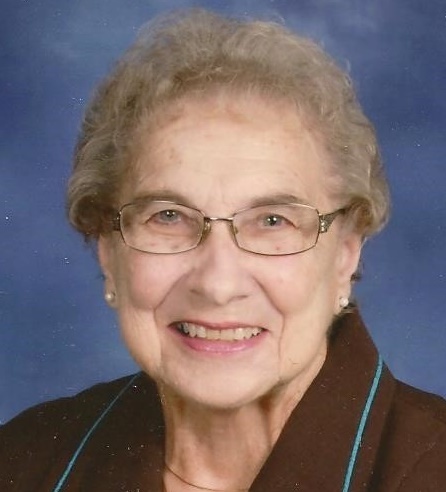 Funeral services for Mary Catherine Heeke will be held at 10:00 a.m. Friday, April 5, 2019, in St. Celestine Catholic Church with burial to follow in St. Celestine Cemetery. Visitation will be held from 2:00 p.m. – 8:00 p.m. Thursday, April 4, 2019 at the Becher-Kluesner Downtown Chapel in Jasper. Rosary will be held by the St. Ann’s Society at 1:30 p.m. Thursday at the funeral home. Memorial contributions may be made to St. Celestine Catholic Church.